About a week ago I purchased 100′ of 2x2x1/8″ angle to fabricate a second tier on UNA’s trailer to haul either the new dink “GiGi” or canoes or kayaks. Last week I hack sawed lengths for horizontals and uprights. This week bolts arrived and today I bolted the pieces together and now a box wraps around UNA. I’m undecided on how I want to cross brace this box, so in usual form I stopped that project and picked up on another. 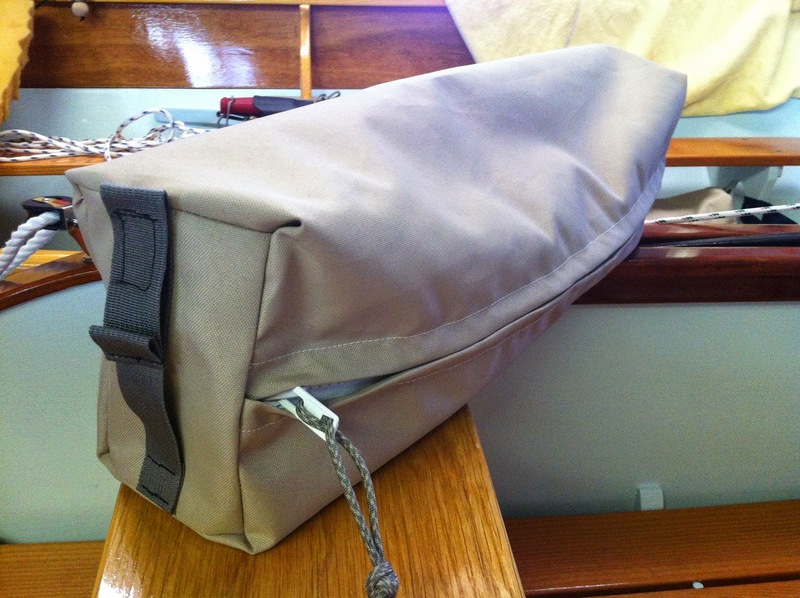 Zippered bag with Velcro end strap. 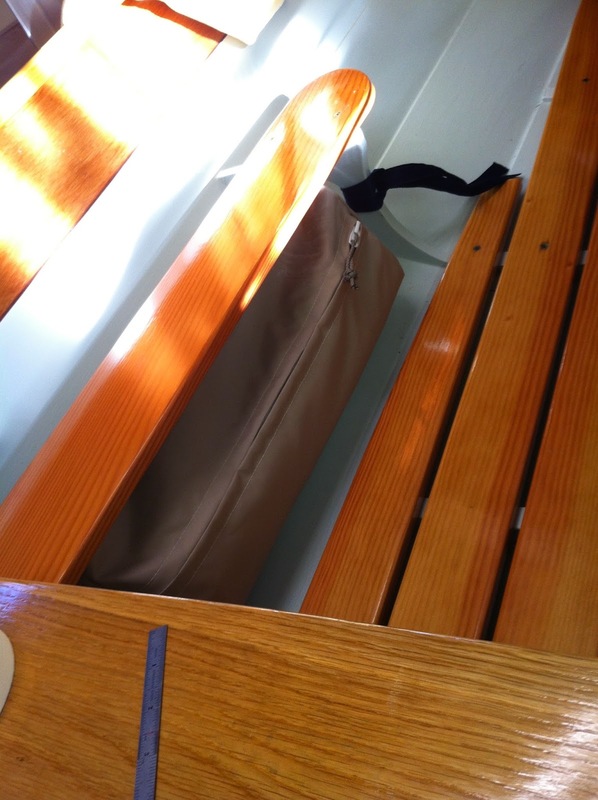 Stainless steel footman loops are mounted under the seat for strapping in the bags. 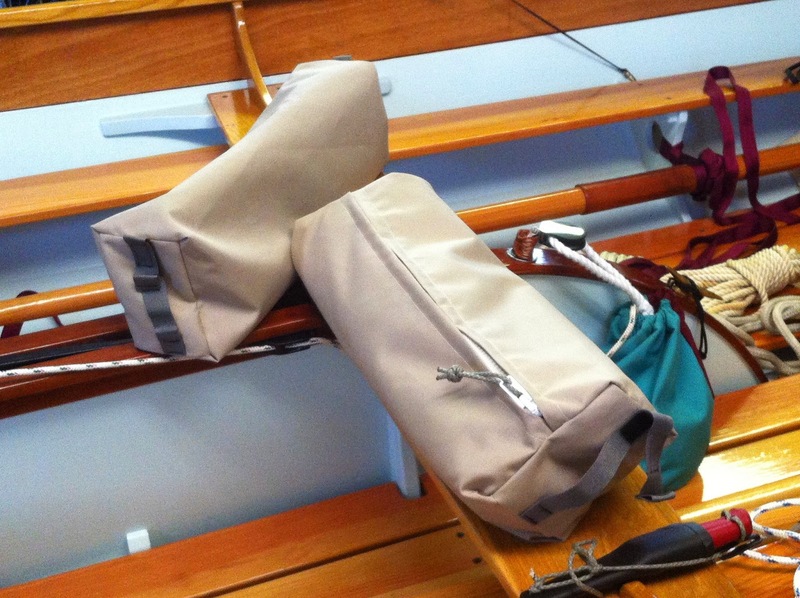 This was an easy project that suited the tent well and leaves a second bag for miscellaneous items like sail ties, horn, flashlight, or whatever. All the materials are leftovers from the tent making. SurLast, 1″ webbing, plastic zipper, and Velcro.